The Hraunfossar waterfalls are the most unique in Iceland, the land of waterfalls. Hraunfoss is neither large nor powerful, nor is it very narrow and really high. 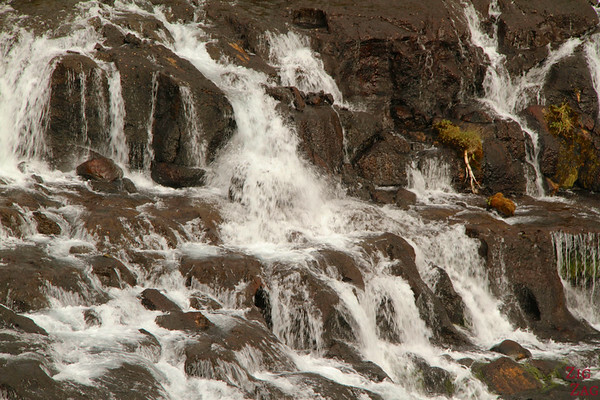 It is unusual because thousands of falls flow out of solidified lava. Here is my guide with many photos to help you plan your visit. Hraunfossar is one of the most unusual waterfalls in Iceland. Indeed, don’t expect loud torrents like at its neighbour G﻿ull﻿foss. 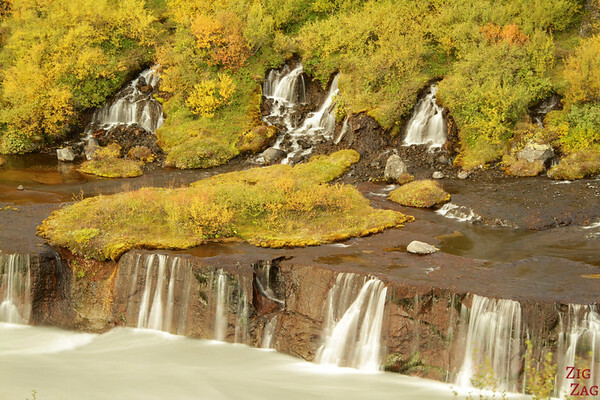 The Hraunfossar Waterfalls (literally Lava Falls) is made of a collection of gentle cascades emerging from between the lava rocks covered with moss. It has been protected since 1987. 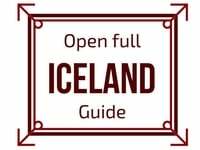 It is situated at the edge of Hallmundarhraun, a giant lava field with lava tubes. The ‘waterthrough’ (rather than waterfall) flows into the Hvita river. 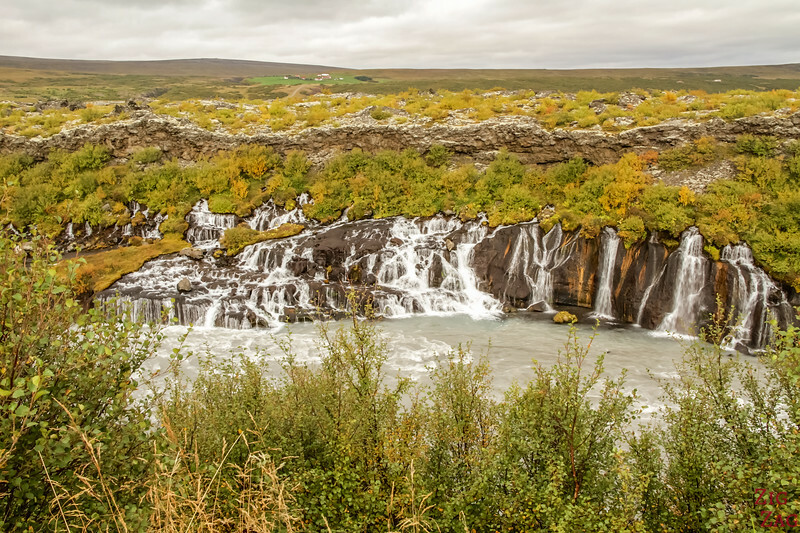 This Hraunfossar Waterfalls are definitively not tall but very wide, which is great because thanks to the long path in front of it, there is plenty of space for everyone to stop and admire it. The difficulty being that you cannot take a picture with the whole thing. So the shot above is showing you part of it. The second one taken on the way to its neighbor waterfall Barnafoss covers a bigger section of the waterfall. After trying to get as much of the Hraunfossar waterfalls is one picture and failing miserably, I had fun zooming to take pictures of the water coming out of the lava rocks. 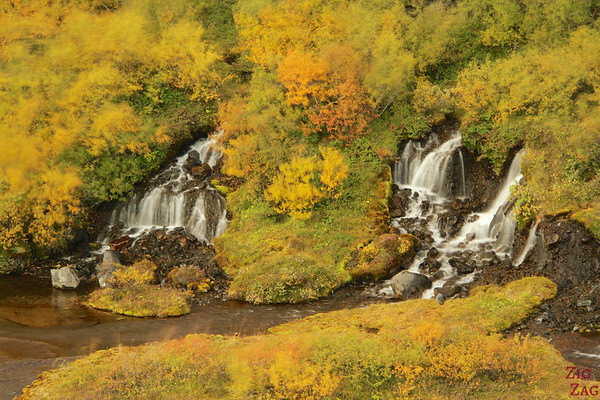 On top of that I was lucky to have the autumn colors showing up on the moss and grass above the rocks. 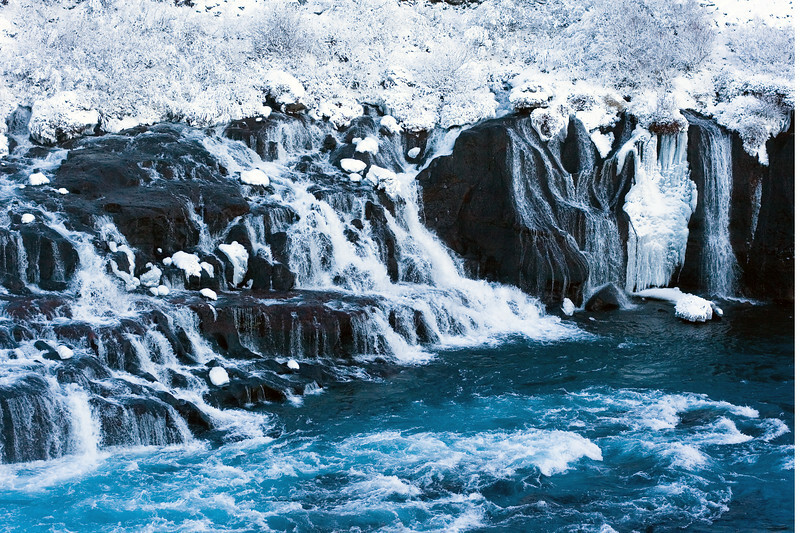 And for those wandering what it looks like to see Hraunfossar in Winter. Here is a shot embedded from Flickr. Be careful the walking path my be icy!​ More photos of Hraunfossar in Winter on the blog living live with a view. 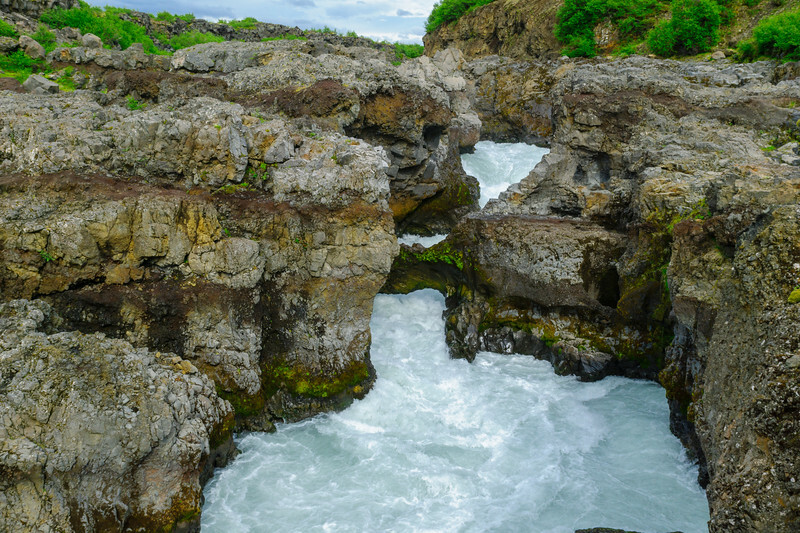 Hraunfossar, along with many other beautiful places, is included in my eBook: The Road Trip Guide - Iceland. 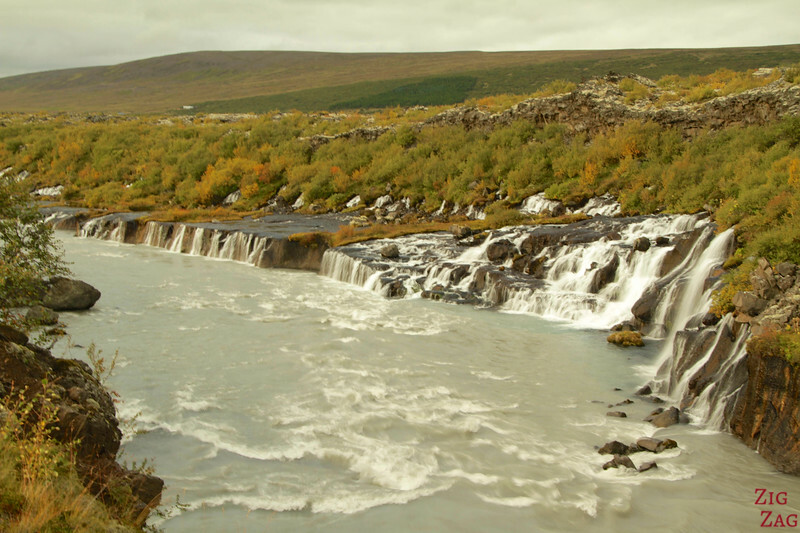 A short walk from Hraunfoss, you will find the more powerful Barnafoss that can be observed from a bridge. It does not have the intriguing shape of volume, but the color of the water can be mesmerizing. Have you ever encountered such a phenomena of water coming through rocks?